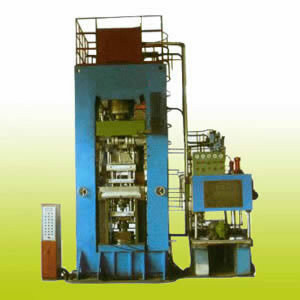 The powder hydraulic press is designed to press powder materials. It ensures that the powder product will take the wanted shape with a smooth and even surface and density as well. It has independent hydraulic and electrical system and automatic material delivering system as well. The electrical system of the powder hydraulic press is PLC controlled, which guarantees simple operation. The hydraulic system of the hydraulic press utilizes cartridge valve blocks, which assures reliable continuous operation. Additionally, the powder hydraulic press uses Button Central Control and is equipped with mechanical stop blocks which ensure the quality consistency of end products. The rare earth magnet hydraulic press has a permanent bidirectional hydraulic pressing system. It has a simple structure mold with a convenience replacement and it has an advanced silicon-controlled rectifier. It can have vertical or horizontal magnetic field orientation.